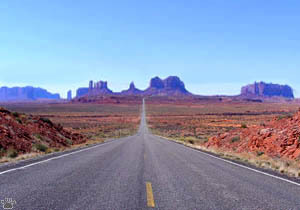 The American West is probably the most photographed part of our planet. Not only is it beautiful enough to sustain an army of professional photographers, it is also very easy to travel around. Excellent roads and relatively low population density allow you to move fast; all the best places are well-known, well-marked and easily accessible. 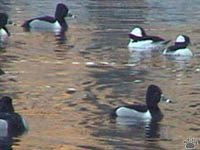 Weather is mostly good for taking pictures (except in the Northwest), wildlife is usually tame, and people are friendly. 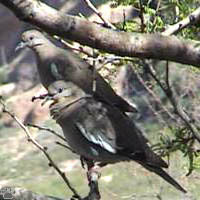 nigricans), Gila Wilderness, New Mexico. The Wild West of the past is now a legend; the word "wild" is more relevant to some parts of New York or Chicago. Knowing all this, I still couldn't abstain from taking pictures here and there, while driving, flying, hiking, skiing, snowmobiling, rowing, and horseback riding around the West. 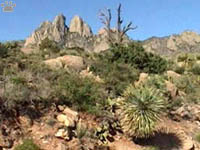 Dripping Springs NA, New Mexico. Plains skink (Eumeces obsoletus), Placitas, New Mexico. 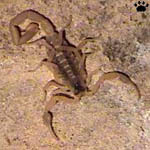 There was a time when the West was inhabited by much larger animals than today. The largest "dinosaur graveyards" in the World have been discovered in Colorado, Utah, South Dakota and Wyoming. 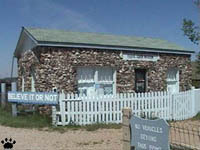 A cabin built of dinosaur bone, Como Bluff. 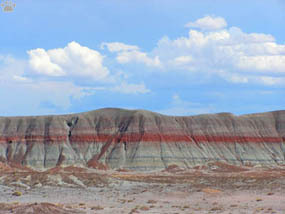 Some fossil beds can now be seen in National parks and other protected areas. 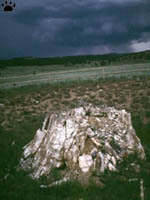 But the largest of them all, Como Bluff Dinosaur Graveyard, is on private land, and can be difficult to get to, at least legally. 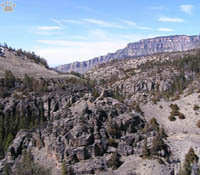 Bone-containing cliffs, Como Bluff Dinosaur Graveyard, Wyoming. 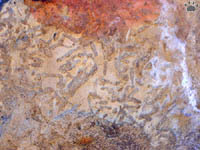 Dinosaur bone fragments in a creek bed, Como Bluff. 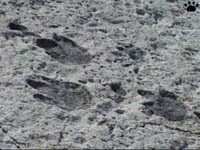 Dinosaur tracks, Lake Clayton, New Mexico. 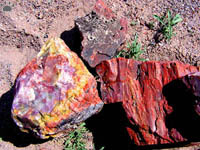 Well-preserved dinosaur tracks and bones are relatively easy to find in many parts of the West, from Southern Canada to the "Painted Desert" of Arizona and New Mexico. They are not always obvious: you have to keep your eyes open for unusual shapes and textures. 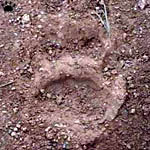 The problem is, the West is full of unusual shapes and textures, and not all of them are fossils or ancient tracks. 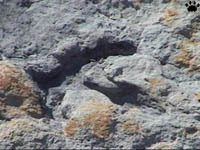 Dinosaur track, Lake Clayton, New Mexico. (probably Dilophosaurus), Paria River, Utah. 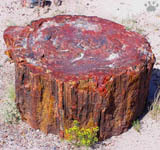 Petrified Araucarioxylon tree trunks and wood pieces, Petrified Forest National Monument, Arizona. 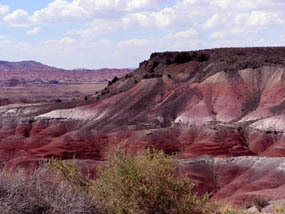 Petrified Forest National Monument, Arizona. 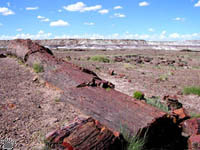 One fossil site which is hard to miss is Petrified Forest National Monument in Arizona - the largest and the most impressive of about twenty "petrified forests" of the West. 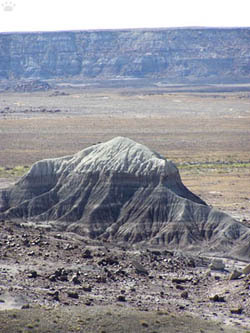 There are also thousands of smaller fossil sites, from Precambrian to recent. 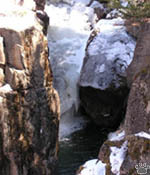 Names such as Shell Ridge or Fossil Creek are common in the West. 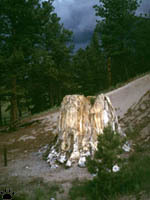 Petrified sequoia stumps, Florissant Fossil Beds National Monument, Colorado. 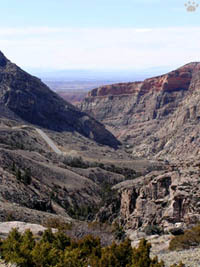 Shell Canyon, Wyoming. 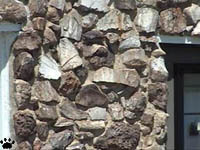 Among the most interesting places to visit for a paleontologist are National monuments: Agate Fossil Beds, Nebraska; Fossil Butte, Wyoming; Florissant Fossil Beds, Colorado; John Day Fossil Beds, Oregon; Hagerman Fossil Beds, Idaho; Dinosaur, Utah/Colorado border; and National parks: Badlands, South Dakota and Grasslands, Saskatchewan. 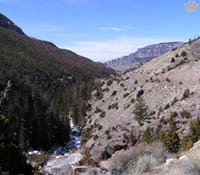 Shell Canyon, Wyoming. 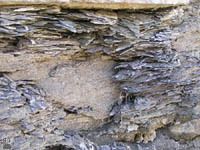 Two sites are famous for fossils documenting the so-called Cambrian Explosion, when most phyla of multicellar animals have first appeared: Shell Canyon, Wyoming and, particularly, Burgess Shale, Yoho Nat'l Park, British Columbia. Petroglyph Nat'l Monument, New Mexico. Newspaper Rock, Utah. The West has been changed by people at least since the last ice age. 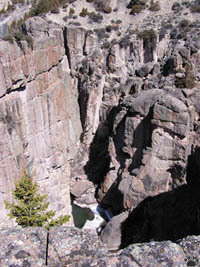 Thousands of ancient ruins and petroglyph-covered rocks are scattered through its canyons and plains. AD. New Mexico. 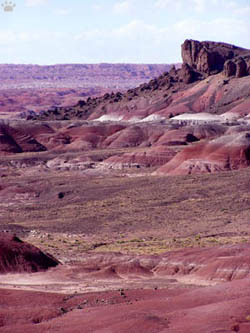 In New Mexico and adjacent areas, native cultures had evolved into sophisticated civilizations, of which the Ancient Puebloan Culture is the most famous because of its stone cities. Many Anasazi settlements were beautifully placed in canyons and rock overhangs. 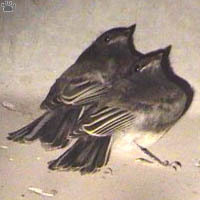 Ringtail (Bassariscus astutus), Moor Cave, Arizona. 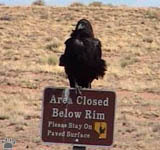 The West is not just fossils and ruins. It has a lot of present-day wonders. More about it in the following pages. 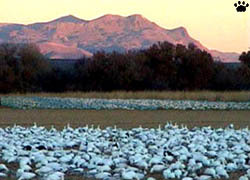 Wintering geese flocks, Bosque del Apache NWR, New Mexico.